Kleopatra Atlas Hotel is a favourite for couples and friends looking for an adult-only break. 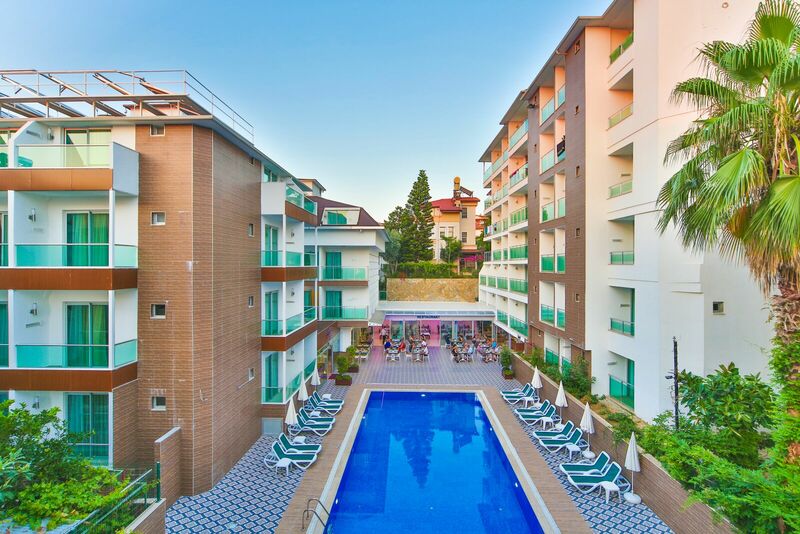 This contemporary all inclusive hotel is 100m from Kleopatra Beach in the Turkish resort of Alanya and combines a welcoming atmosphere with abundant facilities and tastefully-decorated guest rooms and public areas. The pool area takes centre stage on sunny days and is the perfect spot to work on your tan. 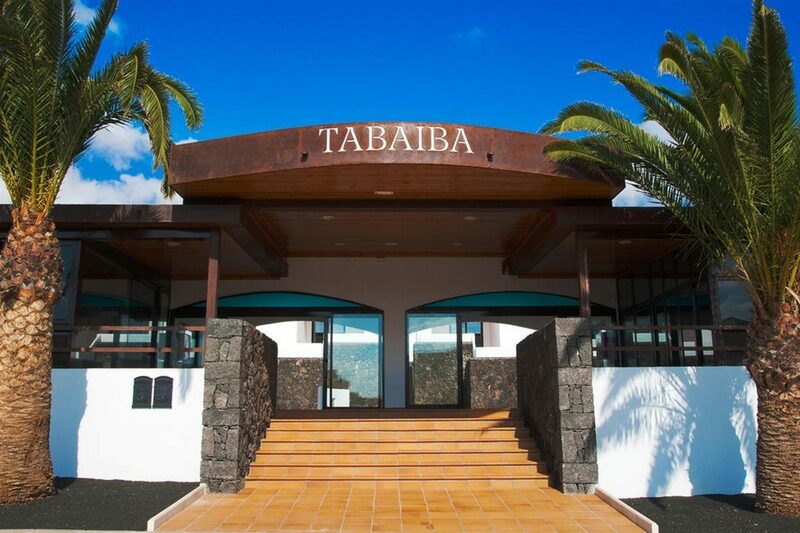 Escape to the tranquil spa area for a traditional Turkish bath or a session in the sauna. There is also a complimentary transfer to the Blue Star Hotel Beach where you can enjoy water sports and beach volleyball and also refreshments at the beach bar. The guest rooms feature an Ottoman-style decor with white wood furniture and opulent throws, wall coverings, and curtains. 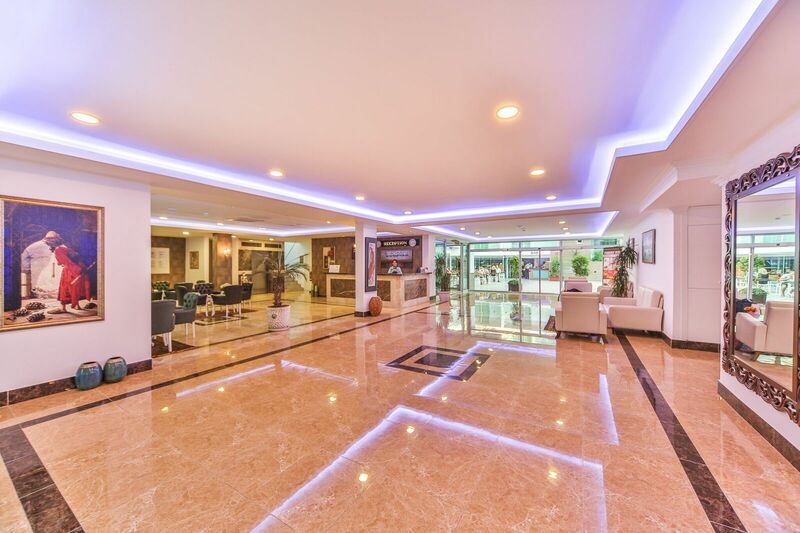 Modern touches such as air-conditioning, a minibar, and a satellite TV add to your comfort. You can sit and admire the amazing views from your private balcony each evening. The on-site bar and restaurant take care of your food and drink. 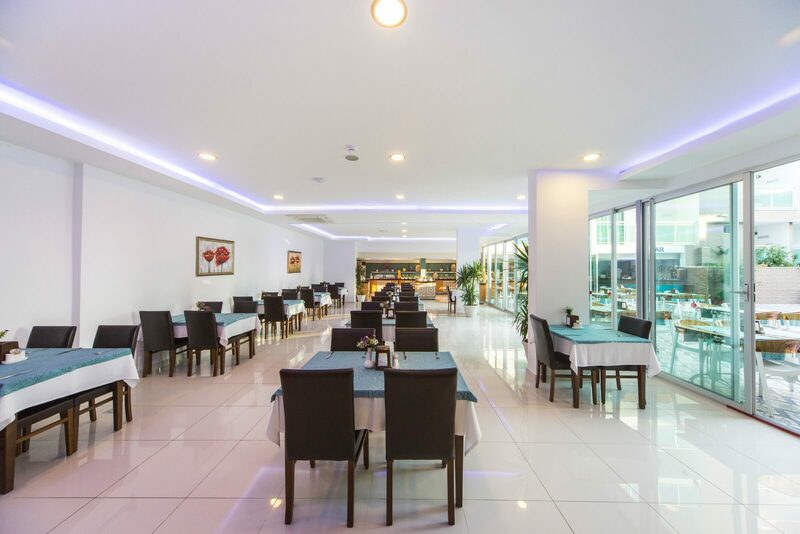 The main restaurant serves Turkish and international dishes at mealtimes, alongside afternoon tea and cakes and midnight soup. Light snacks and a menu of drinks are also served at the pool bar. 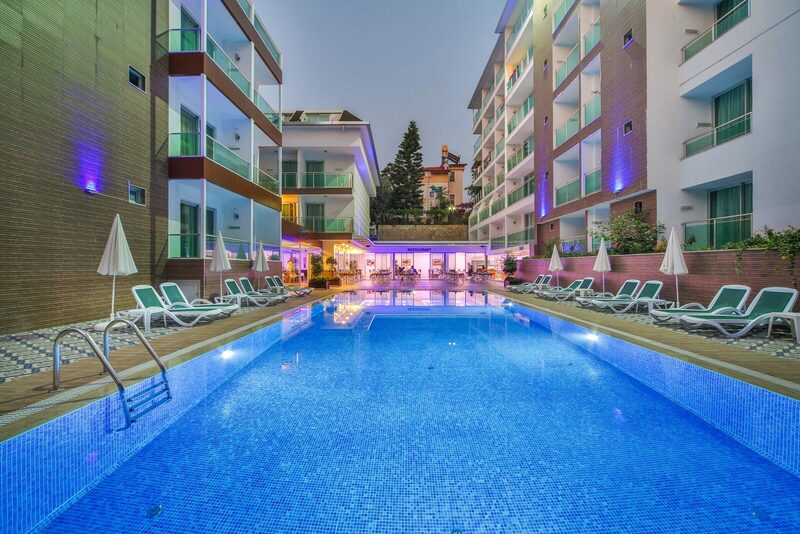 Discover why Kleopatra Atlas Hotel is a popular place to stay for Turkey holidays. Kleopatra Atlas Hotel offers plentiful facilities, including: an outdoor swimming pool, sun terrace with sun loungers and parasols, indoor/outdoor restaurant, pool bar, lobby area with reception and complimentary Wi-Fi access, hairdresser, medical service, photography service, Internet access, and beach volleyball and water sports at the beach. The spa area has a Turkish bath, sauna, massage service, and fitness centre. There is also a transfer service twice daily to Blue Star Hotel Beach which has a beach bar. NB: Sun loungers and parasols at the beach incur a charge. This Turkey hotel has a total of 125 modern guest rooms. 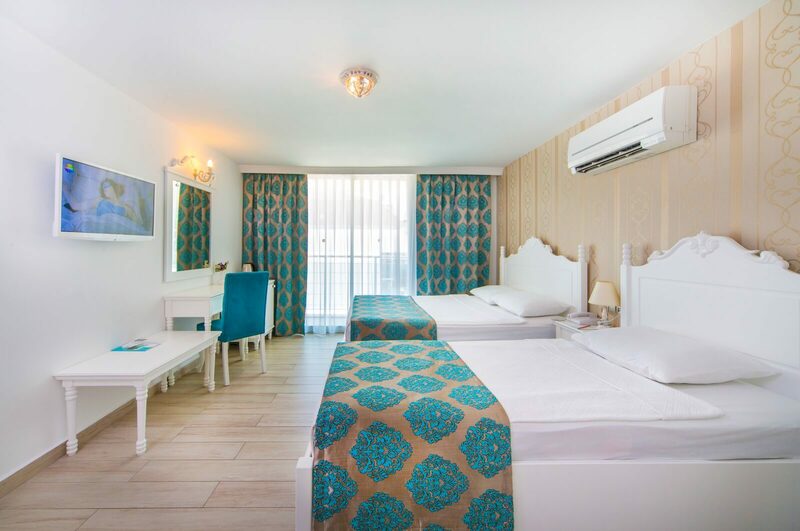 All rooms feature a bathroom with shower and toilet, direct-dial telephone, satellite TV, minibar, air-conditioning, hairdryer, safety deposit box, and balcony. 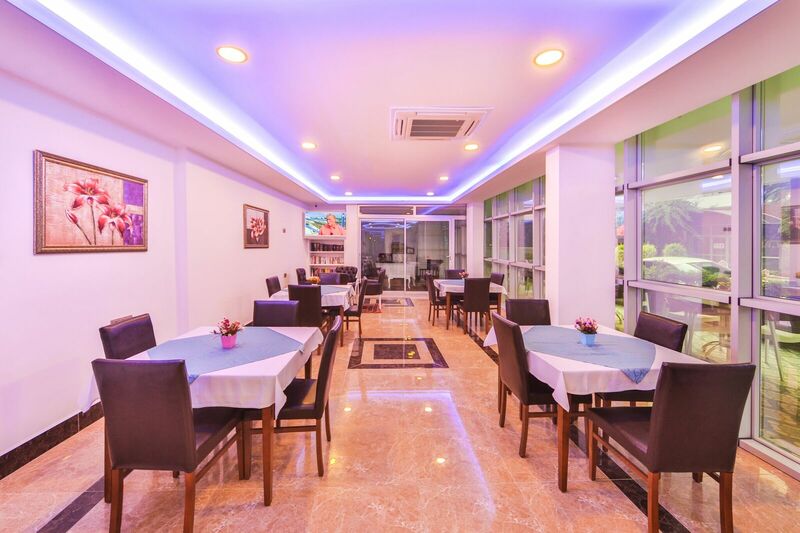 The main restaurant serves local Turkish and international buffet-style meals at breakfast, lunch, and dinner. Late breakfasts, afternoon tea/coffee and cakes, and midnight soup are also available here. The pool bar offers a range of afternoon snacks and also a full menu of hot and cold drinks. The beach bar (3km away at Blue Star Hotel Beach) serves sandwiches, hamburgers, and fries and also a choice of soft drinks and beers.